Home > Campus News > A Collaboration that Creates Headlines! 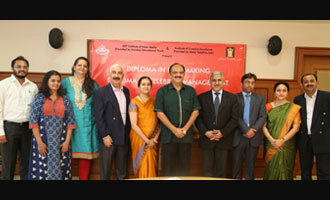 MET Institute of Mass Media of Mumbai Educational Trust and ICE Creative Excellence Pvt. Ltd. of Balaji Telefilms Ltd. signed an MOU on 18th January 2018.